In the aftermath of the American Civil War, it was not uncommon for a grateful U.S. government to bestow upon its more distinguished and higher-ranking officers some quite sizeable parcels of territory, some far beyond the scope allowed under the Homestead Act. This was, in part, for compensation for their military service, but also for what we might see today as a progressive recognition of and treatment for Post-Traumatic Stress. In other words, Uncle Sam gave the vets their breathing space, to help them recover from the mental scars of combat. A lesser known fact: This graciousness wasn’t reserved exclusively for Union officers! On the contrary, even veterans of the Confederacy were allotted such giant plots of land, up to 160 acres, permitted they first signed an affidavit of allegiance to the government. Former Confederate Colonel Simon J. 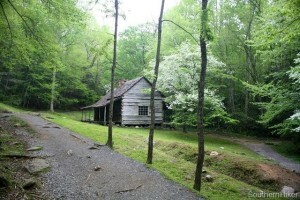 Craft was the recipient of such a generously deeded parcel, in his case a lovely but remote plot which nestled between peaceful Pigeon Forge in eastern Tennessee and the vast territories of the Cherokee Nation. Many a man would have kindly refused so isolated a field, situated as it was amongst the ranges of the Pine and Cove Mountains. Yet Craft’s betters knew him well, and recommended the allotment area intentionally…not only for his well-being but for the sake of others. For Craft had developed a nasty reputation during the war, a very nasty reputation indeed. And so there in that lonesome valley, once the hunting grounds of the Cherokee warriors, the retired colonel found refuge from the company of his fellow man, preferring the ruggedness of life in the wild over the cloying political correctness of society. Were such psychiatric diagnoses available in those days, one might have concluded the good colonel was a sociopath. In point of fact, Craft’s superior officers knew he was far, far worse than that. But in matters of military prowess, Simon Craft was a natural tactician–a fact which could not be ignored by the desperate Confederate generals who sorely needed smart, ruthless leaders to lead their units, which were being decimated in many areas. Eventually Craft came to the attention of no less a person than Brigadier General John Breckinridge, who duly noted Craft’s problems lay in the disconcerting mannerisms of the disturbed lad, oddities which alienated his men whilst giving him an objectivity found in few others. To be blunt, Craft didn’t seem to give a damn about people, and it was that callousness that gave him clarity, an edge sorely needed in battle. Craft was known to be a life-long meat eater who detested vegetables and mocked his subordinates for eating them. In the field he banned the consumption of bread and even fruit, for being fattening and “bad for the digestive system,” as he once wrote in his predominately destroyed journal. During the war the commander led his regiment in several fierce campaigns, from Shiloh to Chattanooga. Yet one of the bloodiest battles, oft stricken from the history books, was the 1862 battle unofficially known at Irish Rose. There, the gentleman earned his loathed moniker, Craft the Carnivore. Caught by his own men licking blood from the face of a fallen Union troop, then Captain Craft was later reprimanded by his commander officer for conduct unbecoming an officer. It was not to be his final deed of misconduct, and certainly not his worst. In another 1862 battle, the details of which were also swept under the proverbial rug, Craft, by then a major, ordered his men to not only butcher but literally filet their enemies. Several refused the unlawful order, and were summarily shot by Craft and his cadre of loyalists. The incident was duly noted but never fully pursued. After all, Craft had won the battle and those who’d disobeyed were “merely uneducated enlisted privates and sergeants” who were easily replaced. Minor incidents aside, Craft was able to rise to the rank of colonel just as the war was coming to its bloody conclusion. The powers that be were happy enough to issue him, his wife, Isabella, and twin sons, Jacob and Jeremiah, 160 acres with a 20 acre field in a clearing, complete with equipment for cutting trees as a means of post-retirement income. Both the equipment and the muscular twin boys were put to good work and, within a decade, Craft (at just 47 years of age) had made his fortune and commissioned the construction of the infamous Craft Manor. For their twentieth anniversary, Isabella begged her dissociated husband to invite guests to their completed mansion, for what was the point of wealth if one could not display it? Besides which, life in the deep wilderness could become quite tedious when one had no company other than the trees. And so, as Fate would have it, Craft agreed to the winter party, to celebrate their many years of matrimony as well as to ascertain whether or not the outside world still disparaged Craft “the Carnivore” and his antisocial ways. The guests arrived at C–old officers and their spouses, a handful of Tennessee business magnates from Knoxville, who sometimes ordered lumber for their own homes from the Craft & Sons Lumber Mill. All in all, twenty-three couples came to feast on the all-meat extravaganza. Turkey, rabbit, quail, wild boar, even bison–all the animal protein one could imagine was on display, and cooked to juicy perfection. The party went over spectacularly…however none had predicted one of the worst blizzards in American history was gearing up to dump over 40 inches of snow on them, blocking all routes out and killing most of the wildlife in the surrounding area. For three months the freezing wintery conditions persisted. The fresh meat had run out after the first month, and, with virtually nothing to scavenge out-of-doors, the Craft family and their long-suffering guests soon came to an inescapable conclusion. If they were to survive, they must eat. And only one thing remained to eat. Prior to this confession it was not known what had become of the missing families. Craft had told the local law enforcement agency that the guests had not, in fact, ever arrived, and so it was presumed they’d become lost along the way. Implausible, perhaps…but none were in a position to dispute the wealthy timber magnate, and with unlimited area to bury the evidence, Craft easily covered his tracks. Where the tale becomes even more foreboding is how, exactly, the malevolent Craft was able to persuade the rest of his family into cannibalism. Of course, it was a case of do-or-die…but did he somehow manipulate them into participating? According to McVicker, yes. And so, cut and cook, they did. Decades later the remains of the guests were discovered and identified, along with preparation notes made by Isabella herself. A fair chef, she’d apparently gone to some lengths to make the unfamiliar flesh tasty, experimenting with various sautéing techniques, including one especially revolting sauce known as “Blood Milk.” Legend has it the boys became so enamored with the dishes their mother prepared that they demanded more, even after the winter had thawed and life returned to “normal.” But naturally, catching and consuming individuals to have for supper was a dangerous pastime, and so the Crafts, according to local rumor, limited themselves to a yearly banquet of human meat…a custom passed down from the boys to their own sons, and so on over the years. Despite various defamation lawsuits, the modern Craft families of Tennessee remain plagued by brutish insinuations that there are still among them certain members who participate in the annual feast of flesh. These foul rumors have no basis in fact, and are naturally to be paid no heed whatsoever. You don’t run into many ghost stories on the beaches of O’ahu, but for some reason, East Tennessee sure has a stockpile of them! Maybe it’s the cool climate of the mountains which draws spirits away from their otherworldly purgatory and back into our own Earthly realm. Or perhaps it’s just that more persons befall horrible outcomes in wild woods than they do on sandy shores? Shark attacks aside, that is. The year was 1909, just five years before the Great War and 24 years before the Tennessee Valley Authority started seeking ways to bring electricity to the rural folk such as those living in Gatlinburg. Thus candlelight was still the norm, and young Lucy, a girl of 17 by most accounts, was overly preoccupied with their hypnotic flames. Fast forward a year, to her parents who became quite unsettled when a gentleman caller on horseback visited to inquire about seeing their daughter, whom he’d taken a fancy to after giving her a ride. She’d sprained her foot during a hike in the mountains, he said, telling them the tale of his meeting with her just the day before. Foster, the man’s name was, told the bewildered parents of his concern that their beautiful young daughter might’ve taken ill, for her body temperature was apparently running very high. He knew that, he testified with hesitation, because she’d held tight to him as he rode her down from the range, stumped as to how a girl could otherwise not mind the winter chill. Surely she must be freezing, he’d imagined, and yet he could tell she was toasty as a tea kettle. In fact, her hands were downright hot. Foster became clearly embarrassed, figuring the protective father was making up the story, trying to scare off another unwanted suitor. The cabin in question, noted Foster from his mounted perch, looked to be somewhat newly built (this he said by way of changing the subject as he sought a way to extricate himself before being shot by the dad). And with that, the grey and withered husk of a man turned to point out his daughter’s headstone mere yards away, beside a diseased White Pine. Atop the stone rested a brand new candle, pointing in the direction of Roaring Fork–the road Lucy still hitches rides on today. Why so serious with the brownie name? 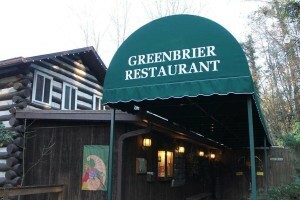 Because it’s named after the ghost which happens to haunt the restaurant. You got it–“Lydia,” one of the most (in)famous ghosts in the state! In the ‘30’s, the cliff-side steak and seafood diner was more of a secluded lodge, frequented by hunters from around the region. A reclusive young woman resided at the lodge, a “raven-haired” female of mysterious origins, whose full name has been lost to the sands of time. But she’s commonly known as Lydia (not to be confused with the ghost of a girl who died in the 1904 train wreck, of the same name). The lady was engaged to a gentleman from town who, upon the intended day of their marriage, (and with Lydia done up in full matrimonial regalia and biting her nails at the altar) decided to blow off the ceremony and engage instead the fleshy services of a local prostitute. Word reached the wedding party via a sympathetic barkeep from the town’s saloon, who was a friend of Lydia’s mother (some versions of the tale have it). And so the scorned young bride-to-be abandoned the church, and, they say, its Heavenly patriarch, as well. With those sacred pagan laws locked inside her bitter heart, Lydia returned to her second story quarters at the Lodge and immediately hung herself from the rafters. Her betrothed had betrayed the Law of Love; so she took matters into her own frail hands, to do what she wanted…to have her revenge. Through death, it’s said, she was able to return and exact her vicious brand of justice…for the “gentleman” was found dead, brutally mauled by “some sort of mountain cat.” A coincidence, no doubt…yet Lydia made her continuing presence known by calling out from beyond her unmarked grave, begging for a proper burial and tombstone once the dirty deed was done. These simple funeral requests she was, at last, granted–by the local caretaker who couldn’t bear her pitiful, ethereal pleas. Even still, it is said Lydia has yet to find rest. The old Lodger continues to roam the second floor of her former abode, occasionally knocking over shelved items or appearing, for the blink of an eye, before a famished tourist as they prepare to bite into their rare and succulent T-bone…just as, you might say, she’d ripped into her cheating man’s own tenderloins.